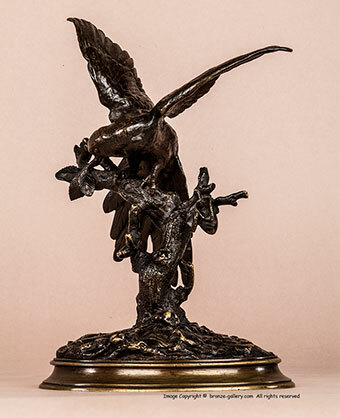 Barye created this fine model of a Parrot sitting in a fruit tree in the 1840s. The Parrot is perched on a branch with pear fruits in the tree and on the ground. The bird has its wings out spread as it balances. This Parrot was also used on the large decorative Candelabras that Barye created in the 1840s, which had Turtles as feet, and Snakes among Poppy flowers with a Parrot at the top. The model of the single Parrot perched on a Branch was made with the head turned to either right or left so they could be used as a pair. These Parrots were also used on a smaller Candelabra showing branches and Parrots. 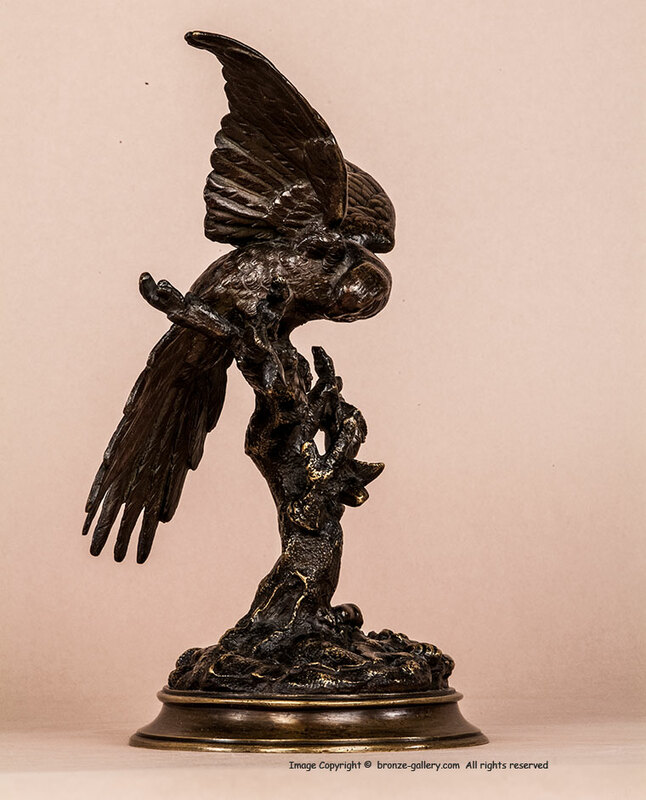 This bronze has a rich dark brown patina and shows fine detail in the feathers on the wings of the Parrot. It has a raised oval base and some versions show a flatter base. A fine and rare model, it shows Barye's versatility in creating both realistic sculptures and decorative objects. 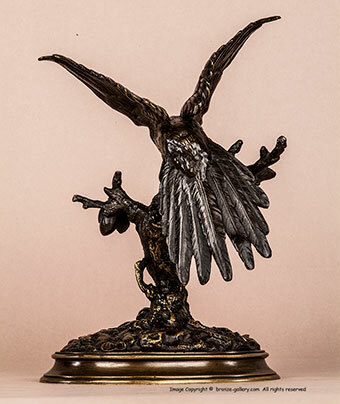 The bronze is illustrated in Payne's book Animals in Bronze on page 93.